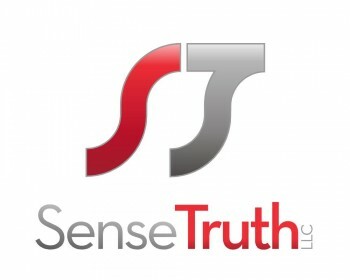 Throughout 2019, Sense Truth will be publishing monthly snapshots of the culture wars and the influence those wars are having on individuals, companies, brands, and consumer relationships. Gear-up, find a bunker, and enjoy the tour. Mac versus PC, mainstream versus social media, democrat versus republican, male versus female, Chevy versus Ford, religion versus religion, and the list goes on. Culture wars are not new and they are not going away. But, they are not all created equally. A culture war over brand of truck or computer is playful and inconsequential to either tribe. In fact, people want the other side to exist so that they have the ability to engage in a playful war. Trust, and learning who to trust, begins in very early childhood. A study by Harris and Koenig found that 3 and 4 year-olds very quickly learn who to trust when presented with two speakers — one who consistently named a set of familiar objects accurately (cup, ball, shoe) and the other who consistently labeled them inaccurately. After three pieces of evidence about the speakers’ accuracy, the children preferred to learn new information from the accurate speaker. If only we could be those 3 and 4 year-olds it would be so much simpler. One bright light tapped the best of who Americans want to be via a commercial and song that immediately struck a chord. The Coca-Cola Company and its bottlers received more than 100,000 letters about the commercial and listeners called radio stations requesting to hear the song. Fast forward nearly fifty years from Teach the World to Sing and we see western culture more divided than ever. Largely on political and ideological lines. Social and identity issues are at the forefront of media, entertainment, and advertising.